Population Reduction of 3 Billion A Global Necessity? The United States was the first country to peak in its oil production, back in 1970. The United States exploited its oil to provide the standard of living enjoyed today. 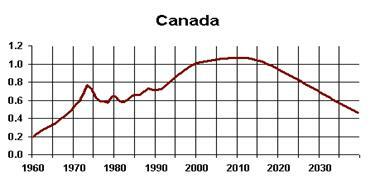 However, after 1970 the continuation of this standard of living has depended upon increasing imports of oil. 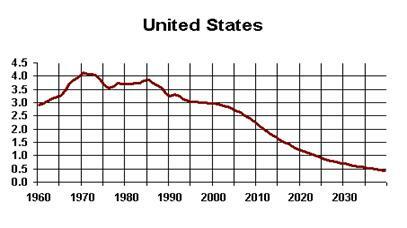 Notice the slight raising and leveling off of the production curve in the early 1980s as oil from Prudhoe Bay, Alaska was brought on line. The Prudhoe Bay fields peaked in 1985 and have been in decline since. At one time, the USA had abundant, easily exploited oil reserves -- production peaked at over 4 billion barrels per year -- but those days are behind us now. Even the Alaska National Wildlife Arctic Reserves (ANWAR) will make little difference to this picture. Contrary to what you might think, the United States does not receive the bulk of its oil imports from the Middle East. Thus far, our oil imports have come from South and Central America, chiefly Venezuela and Colombia. 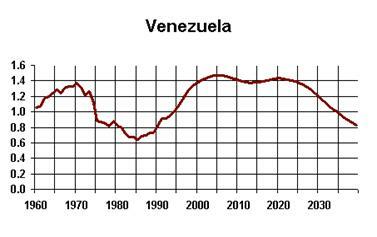 Venezuela alone accounts for more than 53% of the oil in this region.3 However, Venezuelan oil production already appears to be peaking a little sooner than Duncan and Youngquist's program predicted. Venezuela also holds what is perhaps the world's greatest deposit of unconventional oil: the Orinoco oil belt, which contains an estimated 1.2 trillion barrels of the sludge known as heavy oil. This is a great resource; however, it is known as heavy sludge because it is highly contaminated by sulfur and heavy metals. The removal and disposal of these elements would have to be attained without destroying the economic viability of the deposits. And, as with the Canadian oil sands, such a project is unlikely to be brought on line in time to offset the shock of declining oil production. 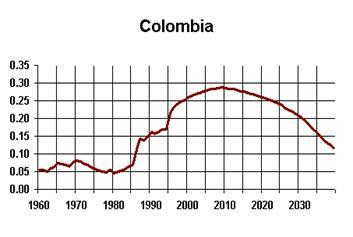 Colombia's oil deposits are predicted to peak around 2010. Unfortunately, they are unlikely to produce more than one third of a billion barrels per day at peak. There is currently a lot of speculation about a major oil strike in the southeastern foothills of Colombia's Andes. Geologists in the area have made some interesting discoveries, but nothing has been confirmed as of yet. It has long been suspected that a major field must exist somewhere between the Venezuelan oil fields and the oil shales of the Peruvian Andes. Yet, with all our modern probing, this field has failed to turn up. This author suspects that exploration in Colombia will turn up no new, major oil fields -- though it may turn up minor deposits. This author suspects that the mother lode of South American hydrocarbon deposits has already been found, in the form of the Orinoco heavy oil sludge. In any case, it is quite plain the United States needs the oil of this region. And production of these oil resources is threatened by political instabilities. Colombia is a divided country rocked by over 50 years of civil war. And Venezuela has also become increasingly unstable in just the past year. President Hugo Chavez has been bucking US imperialism and oil interests for some time now. A new Hydrocarbons Law, which took effect at the beginning of 2002, will require that state-owned Petroleos de Venezuela SA hold a minimum 51% stake in future joint ventures involving exploration and exploitation. And the law will impose the world's highest royalty rates on companies operating in Venezuela's oil fields. President Chavez insists that such a move is necessary to rescue the Venezuelan economy and to help ease poverty in the country. Similar moves toward nationalization in the past led to US backed coups in Guatemala and Iran, to site just two examples.4 Early in November 2001, the National Security Agency, the Pentagon and the US State Department held a two-day meeting on US policy toward Venezuela. This meeting was supposedly held in response to a Chavez statement that the US was fighting "terrorism with terrorism." It is quite likely that among the options discussed at this meeting was a coup against Chavez.5 Elsewhere in South America, Ecuador almost fell a year ago to a grassroots coalition of peasants and Indians. Farther south, Bolivia has been destabilized by a peasants' revolt sparked by privatization of their water supply. Even farther south, in Argentina, the economy has crashed and the government has dissolved. People are rioting and looting grocery stores. Brazil has been economically shaken by the fall of Argentina and by the growing strength of the MST -- the landless peasant movement. In fact, it would be difficult to find a truly stable government anywhere in South America at this time. All lumped together under the title Former Soviet Union, we have not only Russia proper, but also Turkmenistan, Uzbekistan, Kazakhstan and the Caspian Sea region. 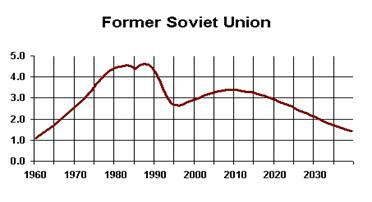 This graph is probably the least accurate of Duncan and Youngquist's predictions, due to lack of data at the time they modeled this graph and also due to exigencies of politics and economics. Duncan and Youngquist did under-assess the Caspian Sea resources, though the correct figures make little difference in their overall world predictions. Most importantly, they did not figure on Russia opening up oil production and exportation to the extent that it has at present, purely due to economic factors. It is also very likely that the oil coup has its eyes on Russia itself. In this case, Russia's nuclear might precludes an overt attack. Through the 1990s, western financiers looted the Russian economy until there was hardly anything left. At present, Putin has no choice but to open up oil exports just to keep his government solvent. Russian President Vladimir Putin has placed himself as a vassal to the oil coup; however, he is not entirely happy with the actions of the western states. Bush's rush for a missile defense system would negate Russia's last claim to superpower. We can only hope that the oil coup is not foolish enough to provoke a nuclear war with Russia. It is in the Middle East that the real grab for world power will be played out. 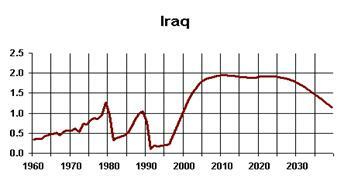 According to Duncan and Youngquist's model, by 2007 the Middle East will dominate the world in oil production. This will be the last region where oil production will peak, according to Duncan and Youngquist's model, sometime around 2011. And the oil of the Middle East lies largely in the provinces of five countries: Iran, Iraq, The United Arab Emirates, Kuwait, and Saudi Arabia. All but two of these countries are closely tied to the United States and are likely to be players in the oil coup. The exceptions are Iraq and Iran. 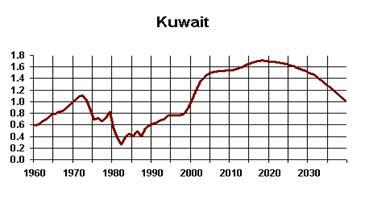 Iraq's ability to export oil has been severely restricted since the first Gulf War. 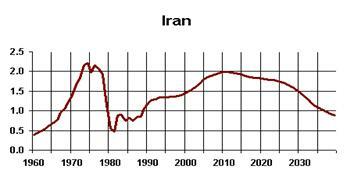 Likewise, Iran faced stiff embargoes following the fall of the Shah in the 1970's. However, in neither of these countries does the oil coup have clear control over oil resources. Likewise, both countries are targeted as terrorist states. Right now, Israel and powers in the United States are lobbying strongly to make Iraq the next target in the "War Against Terrorism." Rumor has it that this war is slated to begin early in 2002. This author would suggest that, after finishing off Saddam Hussein, the oil coup will then set its sites on Iran. We can say with certainty that the oil coup will want to have both these countries firmly in control before the OPEC crossover event. 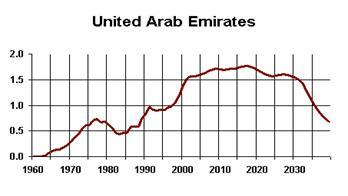 But how stable are the governments of the other three major Arab states? The Saudi royals sit very uneasily on their throne. The hundreds of princes which make up the house of Fahd are extremely unpopular due to their own corruptionпїЅboth economic and moral. National Security Agency electronic intercepts demonstrate that the Saudi princes routinely pay protection money to Islamic extremists, including Hamas and Al Qa'ida. NSA and CIA analysts have noted that it would not take much for an Islamic fundamentalist coup to overthrow the royals. 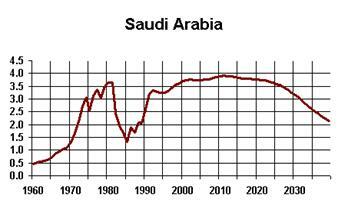 Likewise, a secret CIA study put together in the mid-1980s concludes that terrorists with only a handful of explosives could take the Saudi oil fields off line for two years. Based on the analysis presented above, we believe that the most likely targets in the "War on Terrorism" will be Iraq, Iran, Colombia, Venezuela, and possibly (though hopefully not) Russia. That there will be actions in other theatres is certain. It is very likely that Somalia will be targeted soon. And, as they hold the world's richest deposit of uranium, Somalia is not without valuable resources. Other Middle Eastern or Central Asian nations not mentioned here could also be targeted for a number of reasons, energy resources among them. Likewise Indonesia, if that country became too unstable. Then there are actions which could be strictly political, or which could be viewed as vendettas. North Korea, the Philippines, and Cuba could fall into this category. Yet, it is FTW's belief that the main targets for military action in the years to come will be those stated in the first sentence of this paragraph.